After spending the past three weeks exploring Sequoia National Park for my next book, Barrier-Free Travel; Yosemite, Sequoia and Kings Canyon National Parks for Wheelers and Slow Walkers (www.barrierfreeyosemite.com) I’ve come away with some observations about access in this often overlooked national treasure. Of course, as with any research trip there was good and bad, but on the plus side I have to say that the good far outweighed the bad on this Sequoia visit. With that in mind here are my top three “access plusses” – access features that totally wowed me – in the land of the giant sequoias. I absolutely loved these inclusive picnic tables that I found at Lodgepole Campground. Most accessible picnic tables have a space at the end for a wheelchair, while this model has space in the middle. Granted I’m sure it was probably thrown together hastily to meet a pressing need, but I just like the concept. It’s nice to be able to sit in the middle of a group instead of being stuck out by your lonesome on the end. Some people will call this segregation, but I just call it common sense. 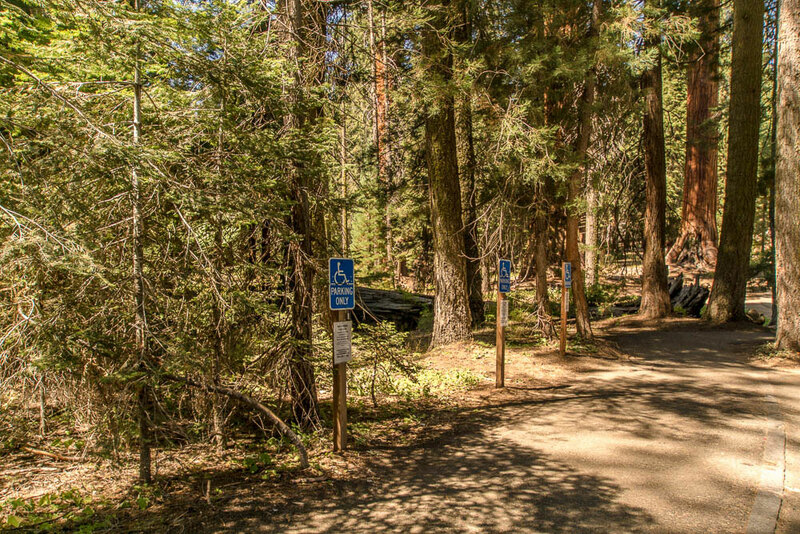 Both the General Sherman Tree and the Big Trees Trail have dedicated accessible parking areas near the most accessible paths to the trees. There are separate parking lots for able-bodied visitors, which require longer – and largely inaccessible – hikes to see the trees. I think it’s great to designate a whole parking area for this purpose, instead of just a few spots. And if you don’t have a placard, but truthfully can’t do the distance, temporary placards are available from the rangers. And from what I could see, most people respected the accessible parking spots. It also helped that there’s a place to pull over near the restroom – away from the accessible parking area — if you just need to make a quick pit stop. I hadn’t been down to Mineral King since my high school days, and to be honest I wasn’t expecting a lot. It’s a 1.5-hour drive down a winding, mostly paved road to get to a grove of hippy cabins and a small restaurant that used to serve killer good pies. The hippy cabins are still there, but I also found a cool new fully accessible model. 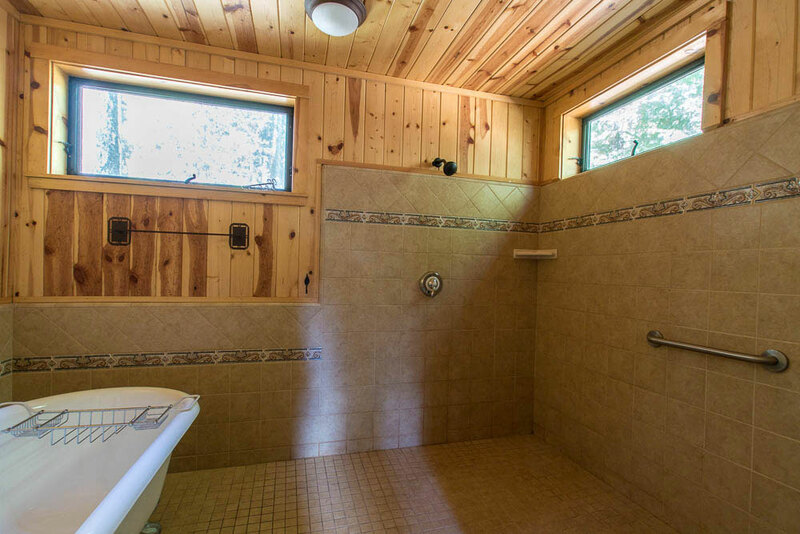 I was totally blown away, as it has one of the largest roll-in showers that I’ve ever seen. Access was great – and it’s in the middle of nowhere!! And just for the record, the restaurant still serves up some killer-good apple pie! 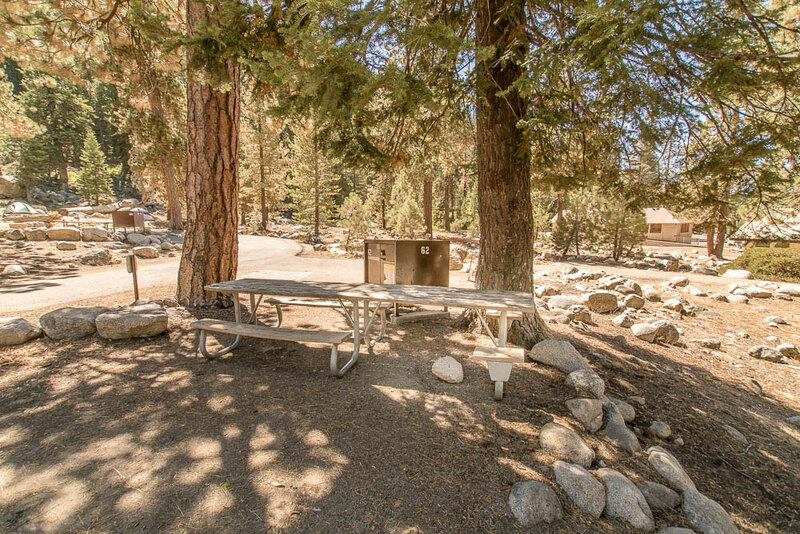 This entry was posted in Editorial, Recreation and tagged Big Trees Trail, california, hikes, Lodgepole, Mineral King, national park, Sequoia, trails by Candy B. Harrington. Bookmark the permalink.